When it comes to Vehicle Graphics, Boat Graphics and Window/Store Front Lettering, we are the best around. Click below to view our galleries. 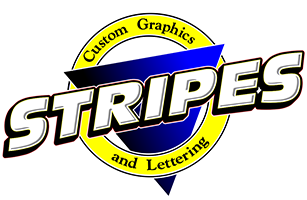 Stripes Inc. is a full-service sign manufacturing company serving retail and commercial clients since 1981. Being in business for over 30 years gives us the expertise to design, build, install as well as service any type of sign. Whatever the need, you can always depend on Stripes to provide the highest quality and most cost-effective, comprehensive sign solutions. At Stripes Inc., we are Melbourne, FL and the surrounding areas top choice when it comes to Vehicle Graphics, Boat Graphics and Window/Store Front lettering. Stripes Inc. is located at 1620 Tangerine St, Melbourne, FL.